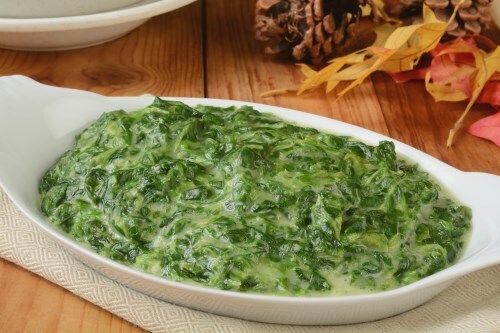 In a blender or food processor, blend spinach and milk until smooth. Add garlic powder, dried onion and fresh onion and mix well. Pour into medium saucepan and cook over medium heat until thickened, about 3 minutes. Reduce heat to low and simmer for 10 minutes.